Lawyers can become very powerful people within technology corporations. Most CEOs won’t make a move without first consulting their general counsel or other legal adviser. But the general counsel seldom rises to the CEO spot. Why is that? What’s preventing it? How can corporate attorneys overcome these obstacles and rise to the center of power? By gaining practical line experience? As specialists with specific responsibility for safeguarding the legal interests of the enterprise, some corporate attorneys feel they suffer from pigeonholing. In addition, real and perceived vertical silos within which they function may prevent them from amassing necessary cross-functional experience. While many practicing corporate attorneys may not find significant opportunities inside the companies where they work now, some lawyers feel that the training landscape is changing. And the formal education that law students receive augurs well for the future. For example, Rathke points out that in 2012, fintech giant Fannie Mae named its general counsel, Timothy Mayopoulos, CEO. According to his bio, Mayopoulos served in numerous management capacities at Deutsche Bank, Credit Suisse and Donaldson, Lufkin & Jenrette before becoming general counsel at Bank of America. In addition, she cites an ABA Journal article from 2010, that some law schools—most notably Southern Methodist University—have become known for their business law curriculum, which has produced CEOs at Kroger, State Farm and other Fortune 50 companies. As the apocryphal Seneca saying goes, “Luck is what happens when preparation meets opportunity.” While the origin of that sentiment remains dubious, its sagacity exists immutable down the centuries. So it goes without saying that an attorney desiring a more general management oriented career should seek out the right mentor to get ready for the chance when—and if—it comes. For example, Weiner relates that she recently worked with general counsel of a multi-million dollar hotel chain. Over a decade-plus, this attorney rose from assistant counsel to deputy general counsel to the joint role of vice president. While operational experience remains important for attorneys aspiring to the corner office, that’s not the only attribute for successfully moving up the corporate ladder. Especially, in the technology sector where venture capitalists (VCs) and their term-sheet startup investments seem to exist around every corner. An attorney well versed in the intricacies of VCs can quickly find herself on the inside of the boardroom glass looking out. For example, typically the board has to satisfy investors and others who have a financial stake in the company, according to Mitchell. “This often means balancing those interests against risk and liability factors against which a lawyer would caution,” she says. Indeed, it is not unheard of for boards to work with counsel and then bring her or him into the CEO slot. Especially outside counsel, who may have experience within the industry which the technology company conducts itself. For example, in February 2016, Alkemy X, a creative media company, appointed as CEO its outside counsel Justin Wineburgh, who had served in that function since 2005. In order to make it to the CEO space, Wineburgh feels that corporate counsels need to shed their inculcated risk averseness and embrace their visionary sides. Evolving media and technology companies will need these qualities in abundance as they seek to balance risk and manage a changing industry landscape, summarizing Wineburgh. If an attorney can provide not only legal analysis but also practical solutions to real business problems, a board will search her out for the chief executive position, he says. In the final analysis, technology companies differ from corporations in highly regulated industries such as financial services. Companies like Goldman Sachs and American Express have more potential to elevate a general counsel to CEO than IP router maker Cisco or other companies with many patents and trade secrets, according to a former general counsel. For example, software and hardware developers of new or add-on technologies are less likely lawyers than technologists, he says. And it might help if the tech company was either more mature or in a more mature sector of technology, according to Shapiro. “Mastering the technology” should be first in this list, and “mastering” isn’t good enough. Most tech CEOs are engineers, and tech generally equals engineering. Then, there is the simple fact that most attorneys are “well-paid wage slaves” and not particularly entrepreneurial. Having a CEO with strong legal experience can be an advantage. However, a tech company putatively led by a non-engineer ends up being a tech company run by the programmers. I’m trying to think of a tech company that was effectively led by an attorney. I looked for such examples in the article above. I guess we can say that Ellen Pao was “acting CEO” of reddit for a while, but I was more interested in successful CEOs. I guess ‘more’ can mean “the first,” no? Additonally, tech companies usually start with an idea that involves the founding CEO. So, in my view, more (than zero?) attorneys can become effective CEOs, if 1) the attorney has an idea; 2) the attorney is entrepreneurial; 3) the attorney is also an engineer; 4) the attorney writes code. Additionally, the candidate would need to be able to pay presumably large student loan debt. Ellen Pao had item 3, with an MBA to boot, and came up through (and wanted to stay, all evidence to the contrary) at a VC firm. Note that Jessica Alba had an idea. Her company may not be tech per se, but she did rather well without being an attorney, MBA or even marketing executive. As a rule, lawyers don’t make good business leaders (other than of law firms) because they’re too risk averse. The best business leaders by far, combine a strong technical foundation with strong managerial and business acumen. Gates, Jobs, Munsk, Dell, etc, to name a few, as well as most biotech leaders. However, an understanding of IP and business law goes far for technically trained leaders, as they’re able to better leverage and maximize assets and resources. As far as lawyers leading companies, for my own investments, if a company were led by a lawyer, I would view that as added risk. You can take the putrid example of Bill Gates off of that ‘list’. Microsoft’s fortune and so-called technological “prowess” was built on the battering-ram aggressiveness of one Steve Ballmer, the carcasses of some 2000 technologists’ companies destroyed; a backstab-in-the-middle-of-the-night move against their ‘BigDaddy’ partner IBM at a critically strategic point in time; and the illicit concealment from legal discovery, of Federal anti-competition crimes as so-called “trade secrets”, in the trial defense of the charges brought by various States’ Attorneys General before the (brain-dead, for technological purposes) Judge Lance Ito. Any challenges to this alternative (but true) narrative? I will be glad to drill down into the particular details or evidence, in any specific discussion or debate regarding these issues or assertions. And, one “M$oft”, as it is was sometimes known, was far from the only entity conducting these deplorable business practices; anyone remember Ricochet Networks? At one point in 1999, some 20+ cities at 120K connected online from the sky, an effective and complete mobile roving IP service. It was bought up and hasn’t been seen, ever since then. Is there anything even near as good today, some 17+ years later? NO. At one point, ‘Ma Bell’ had developed internetworking WAN technology that was 4 – 20 times faster than anything in dialup (e.g., analog) modems and far more reliable, known as “ISDN”. But, in typical “big tech” monopolistic fashion, they sat on it – FOR OVER 20 YEARS! After a decade or so, it was made available – to businesses only – for a very expensive rate; and, with marketing buried in other initiatives and incidental literature. By the time the Bell companies were broken up, and fast (but “unreliable”) Ethernet quickly advanced in its own capabilities, it was too late. Although still being more reliable, it was swamped in brief competition and became a legacy technology; a loser, a real turkey. After starting out with a fifteen year lead. Supposedly “an eon” in tech industry aging. But, hey: isn’t that the point of anti-competitive practices such as the current push behind anti-patent influences promulgated by such entities as Alphabet/Google, Inc.? Look at the automobile industry: does anyone really believe that it was so difficult to raise internal explosion engine gasoline fuel efficiency for 8-cylinder designs above a mere 30 MPG, that it took some 80 YEARS?? What – did human brains get turned “off” and ingenuity just shut down, for all that length of time? – NO: it was this ‘big tech’ (so-called “Big 3” automakers Ford, Chrysler and General Motors) cabal, which put a huge damper on progress. For example, my own inventor father, David E. Berend, brought what was essentially a Prius-type hybrid drive car prototype to the annual New York International Auto Show – in 1961! Nowadays, even McLaren is using a version of this design for their latest F1 racing cars. 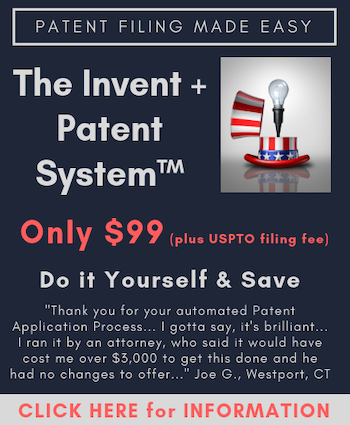 But as with the cardiologist inventor Troy Norred, who’s story is featured in a recent Popular Mechanics article about The USPTO*, the situation became controlled not by applicable law, but rather, by who-you-know. ‘K-Street’, as deployed by the medical devices industry and Google and its friends, gets to decide who wins and who loses, now. The ‘Peter Thiel Mafia’ in Silicon Valley, gets to decide who wins and who loses, now. The self-claimed ‘bipartisan’ corrupted legislators who can’t agree on anything else that might actually approach their on job descriptions, but are “gung ho” enthusiastic about destroying property rights well established for centuries, get to decide who wins and who loses, now. Sources: “Barbarians Led By Bill Gates”; various Amiga computer history archives; various tech industry articles from around 1995 to 2005 describing the practice of “FUD” (e.g., fear, obfuscation and denial); brochures and other convention materials produced for the 1961 International Auto Show; Page Six of the New York Post (wherein my father’s “Voltra” car is mentioned with reference to the upcoming Auto Show); *Popular Mechanics article dated June 21, 2016 (http://www.popularmechanics.com/technology/a21181/greatest-american-invention/); (personal) some 30+ years of IT industry and small computer and networking systems’ experience.